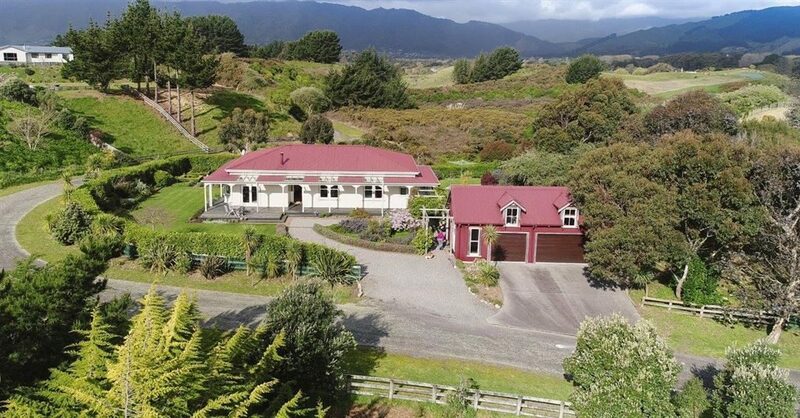 For most Kapiti people, Ross Church is solely associated with his turbulent 3 years as Kapiti mayor from 2013 when voters decided they had to get rid of Jenny Rowan, until 2016 when, frustrated by the KCDC making news headlines for all the wrong reasons, voters decided to give him the boot, too. But he is a long-time enthusiast, trader and restorer of classic cars which, unlike his stint on the council, deserves admiration. We are also classic vehicle enthusiasts (not only cars) as regular readers will have gathered, and regularly visit his website. 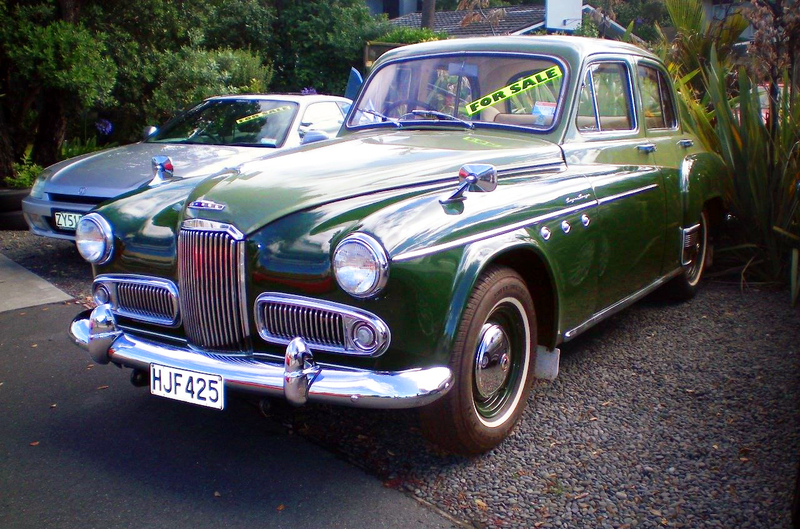 Autoclassics is at 386 Kapiti Road in Paraparaumu. It makes sense that chlorine, added to kill bugs like giardia, isn’t going to have a beneficial effect on you either. 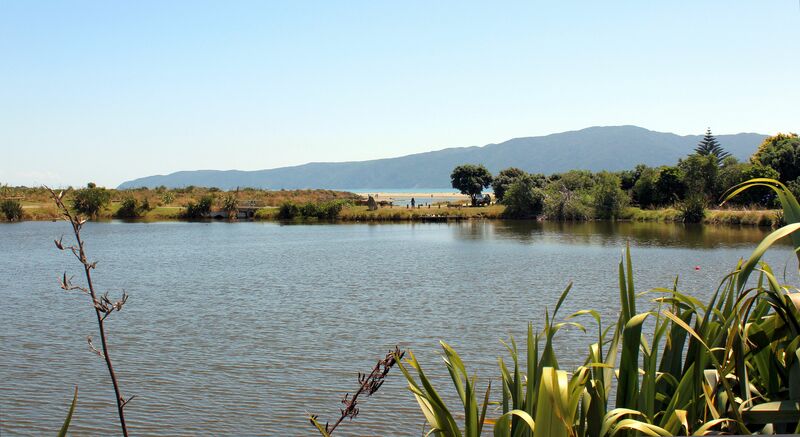 The simple answer is to use a water filter, essential in Waikanae anyway for the reasons given earlier. Tempus fugit or times flies as they say; part one was 11 months ago, but again as they say, better late than never, and here is part 2. 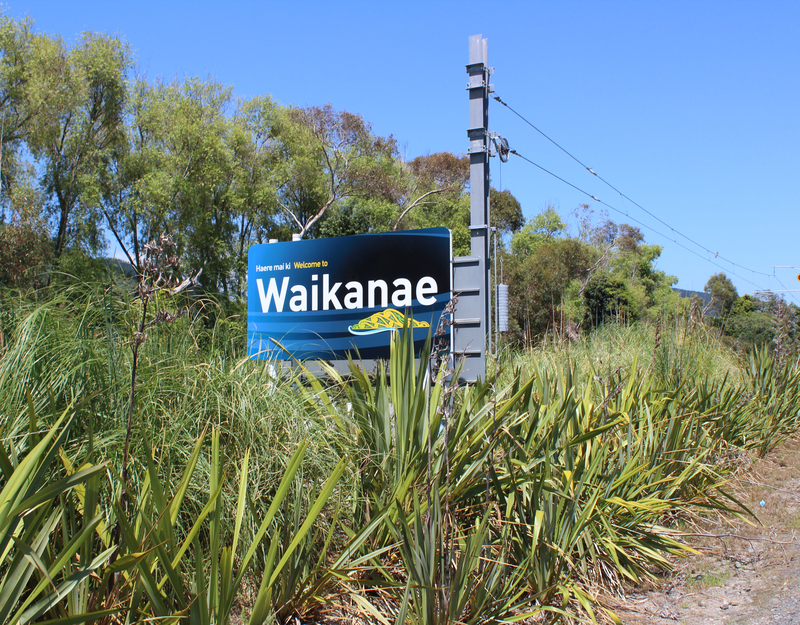 About 3 km north of the Waikanae Swimming Pool on Ngarara Road is the new Nga Manu Reserve Road on your right. It actually existed before the ‘Ewy’, but as a private road. 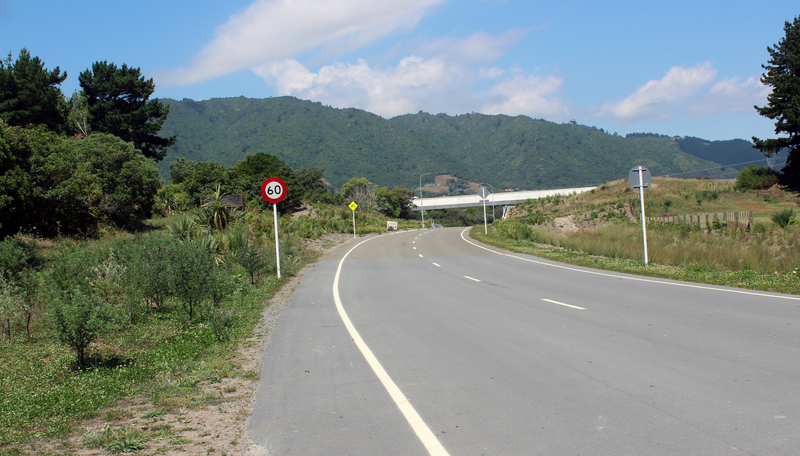 The McKays to Peka Peka Alliance widened it and turned it into a full public road. 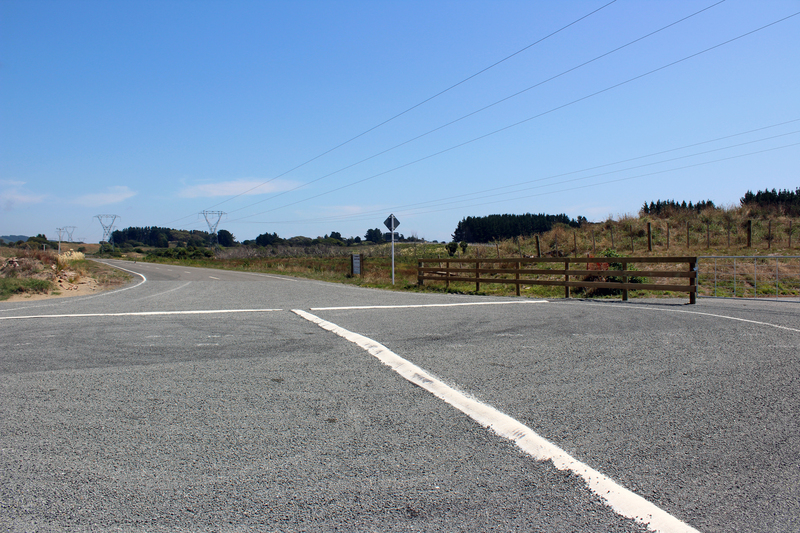 Smithfield Road was severed by the ‘Ewy’, so a new intersection for the separated part was created on Nga Manu Reserve Road, on your left as you drive east. The separated part here is only about 1 km in length and serves two farms plus some public drainage infrastructure. The beginning of Nga Manu Reserve Road, looking east, the intersection with Ngarara Road is behind the camera. The bridge carries the ‘Ewy’. 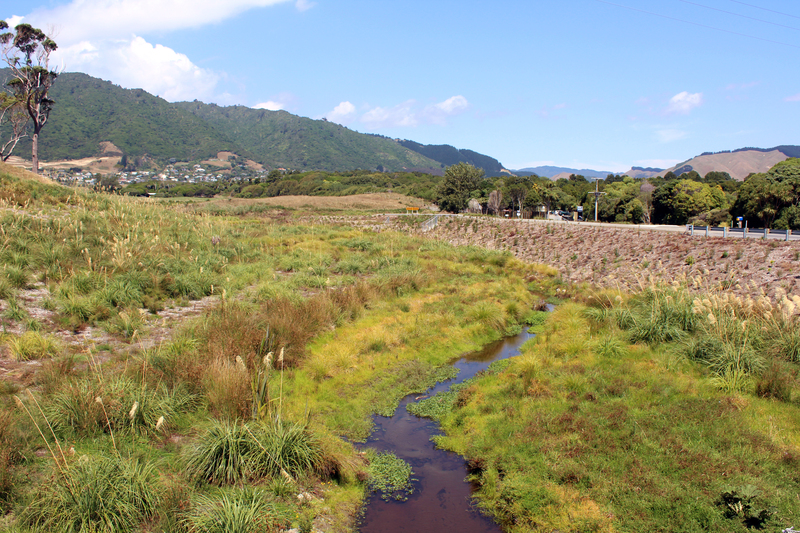 A flood pond area on the south side of Nga Manu Reserve Road. 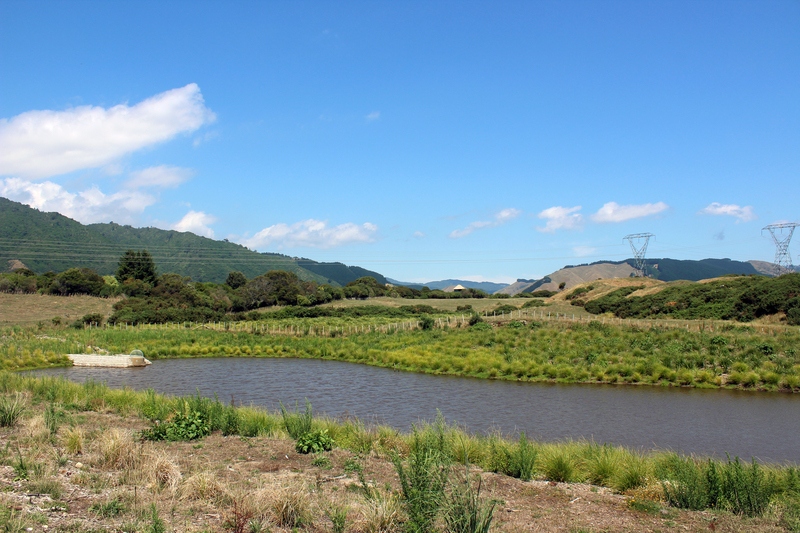 Kakariki Stream and the entrance to Nga Manu at the end of Nga Manu Reserve Road. 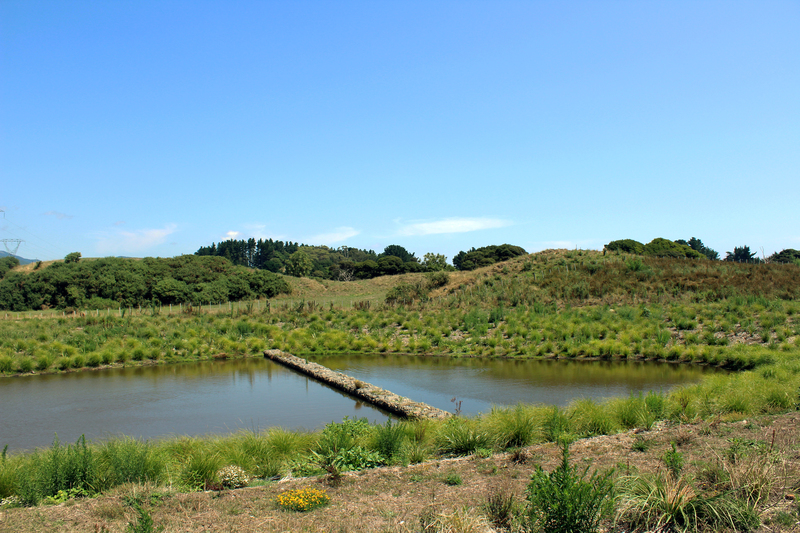 In the hills can be seen the scars of the earthworks for the Kohekohe Park subdivision. At the end of this section of Smithfield Road. The bars were recently installed to deter boy racers from using the turning circle for ‘donuts’ and burnouts. The ‘Ewy’ is next to the line of pine trees. 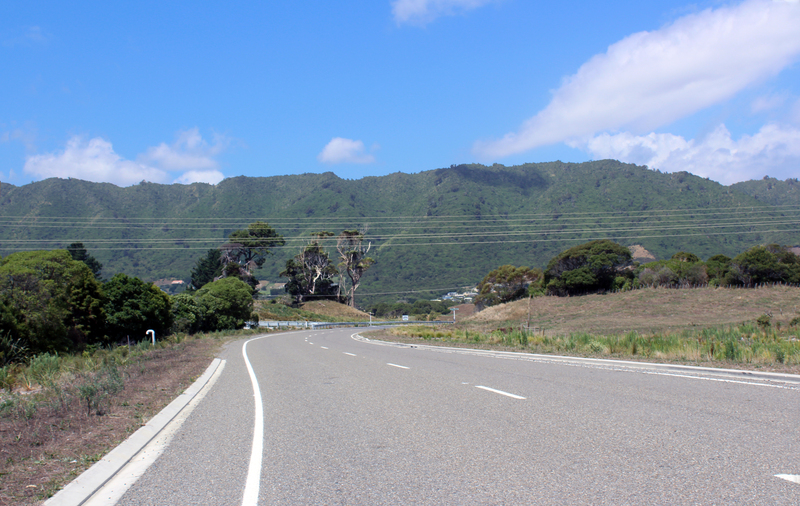 The power pylons here are much lower than where they cross Te Moana Rd — Waikanae Park. 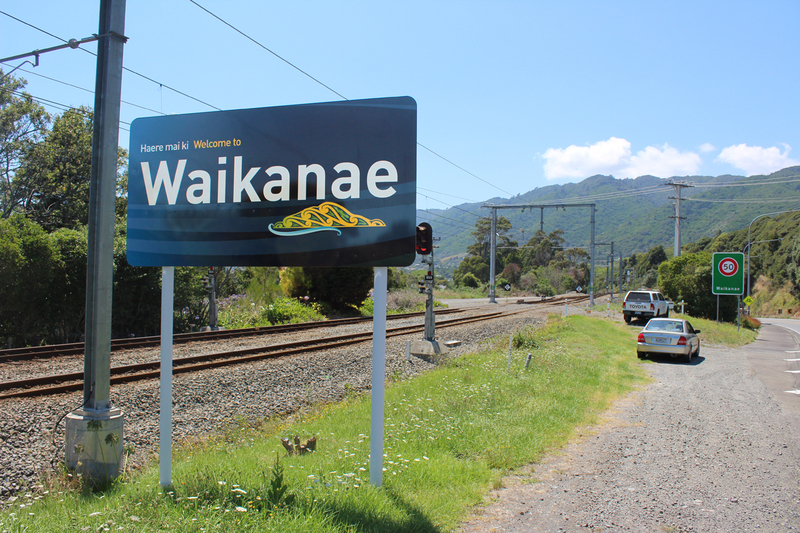 Those who have occasion to use the old SH1 will have noticed these by now, positioned in the same places as the previous ones, and identical to the Welcome to Kapiti signs at Paekakariki and north of Otaki, except for the replacement of Kapiti with Waikanae. They are only on the old SH1 and not on the ‘Ewy’ off-ramps, which are equally appropriate locations for them. No doubt, Norma McCallum was disappointed with the absence of “winner of the most beautiful small town award” and there is no mention of the local service clubs on the northbound sign. Their logos are still at the base of the southbound sign, but hidden by flax and not visible to motorists (second picture). Above is the announcement on the KCDC website without explanation as to why, either there or on the WCB’s Facebook page. The above also gives the schedule for the rest of the year. Originally posted on Nwo Report: Facebook has launched all-out war against independent media by publicly joining forces with the Deep State, who wish to take total control of our lives. Last year saw the globalist tech agenda take major grievous blows as Britons voted for Brexit and Americans voted for Trump. In both instances the Deep State and Facebook had worked hand-in-hand to pump out their globalists narratives, pro-Remain in the EU and pro-Hillary Clinton in the U.S.
People refused to buy the narrative and sought out each other’s point of view instead. Facebook could censor Alex Jones, InfoWars, Tommy Robinson, Katy Hopkins, Paul Joseph Watson, and groups like “Labour Leave” as much as they liked – people were still going directly to the sources and sharing them anyway.